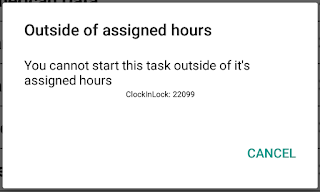 Here we have an interesting tip in case you need to make sure that your employees clock in inside an area only within a specific time frame. You can either click on the "Create Custom SmartFence" to create a rule just for that task, or use the "SmartFence" dropdown menu and select "Default". 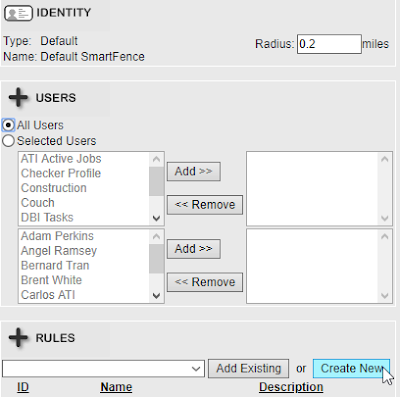 This will allow you to enter a rule that will apply to all tasks that have been set with the default smart fence, so you don't need to create one rule for each task, unless you specifically need to. 1a. 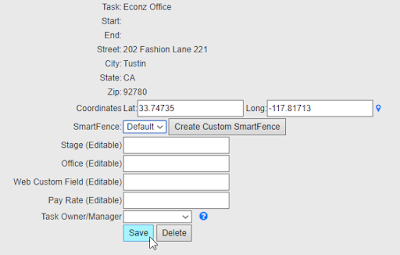 If you selected "Default", then go to the "Rules, Action and Fences" section in the Administration tab and click on "Manage SmartFences". The Default rule will be the first one. Click the "Edit" button. 1b. If you selected "Create Custom SmartFence", you will be taken to the next screen automatically without the need to follow the path on step 1a. 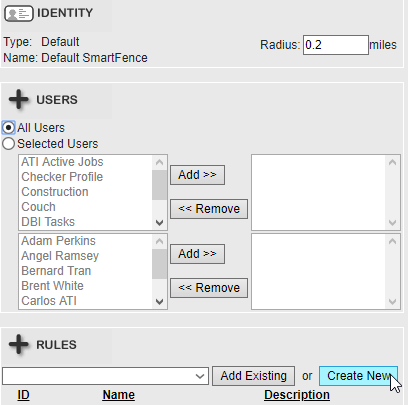 Here is where you need to setup the radius and assign teams or users if needed. If the rule applies to everyone, just leave "All Users" selected. Then, click on "Create New". 3. On the next screen, you will select the dates and times the rule will be applied to. Make sure to select the "Within Timeframe" option, where you can specify the dates and times for the rule. 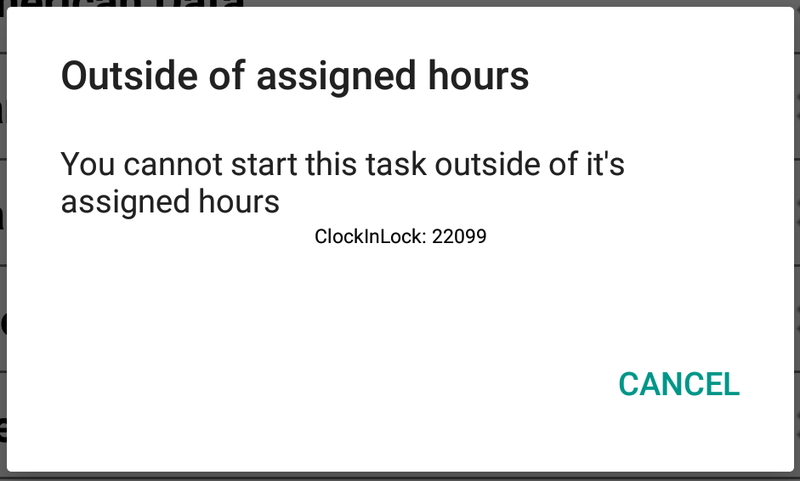 Make sure to click on "Lock Phone" on the top right to prevent employees from selecting the task. Once you do this, click on Save and the rule is ready to be used. You can also add any notifications (text message, sound, email) like you would do on a regular smart fence, but that step is optional. If they are within the time frame but outside of the area, the app will notify them of this fact. Finally, if they are within the time frame and inside the correct area, the task selection will be successful. Let us know your questions and thoughts in the comments section, we hope you can use this exciting feature to your advantage!